This week, one of the last works of an American pop artist will be installed in the tiny town known for its bratwurst production. He passed away in May, but not before confirming the final creative and structural designs with the Stayers. The art is stacked with the colorful capital letters ‘A’ and ‘T’ on the bottom, with the letters ‘B’ and ‘R’ on top. The assemblage art design stands at 20’ x 20’ x 10’, with the four letters appearing in a bright red color. The word BRAT (short for bratwurst), is a very similar design to Indiana’s iconic LOVE and HOPE sculptures created decades earlier. One striking difference is that the letter ‘R’ is not askew as the letter ‘O’ is in the LOVE and HOPE word sculptures. As board members of the Baker Art Museum in Naples, Florida, the Stayers have had many fellow board members and educated collectors to learn from and collaborate with – including accomplished collector of 19th and 20th century art, Olga Hirshhorn, before she passed away in 2015. Over the years, the Stayers developed an interest in large sculptures. Most recently, they collaborated directly with accomplished American artist Frank Stella, to design a 3,800-pound, multi-dimensional ‘star’ containing 12 individual-colored aluminum pieces. The one-of-a-kind sculpture was installed earlier this year in the company’s expanded corporate headquarters. The expansion was actually designed around the star sculpture. “Everyone in our art circle didn’t think Stella would design a star sculpture for us, so after we had that great opportunity to work directly with him, we started thinking, ‘what’s next,’ ” recalled Shelly Stayer. When the Stayers shared their interest with their colleagues about designing another large sculpture, they were advised to reach out to Robert Indiana, so well-known for that type of art. 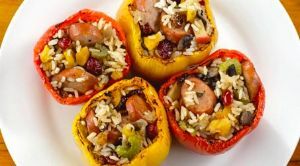 “He ultimately agreed to the project because he said he loved the success story behind this family business in the Midwest town of 60+ residents,” recalled Stayer. “When he was presented with our request of a BRAT sculpture, he also smiled at the thought of the word ‘art’ being present in this sculpture design,” said Stayer. After Indiana agreed to the sculpture project, the Stayers were excited to begin, hoping they would be able to share their vision and collaborate directly on this sculpture in the same way they did with Stella. “But it wasn’t going to happen that way with Robert Indiana,” Stayer said. “He certainly was the temperamental artist as others had described to me,” recalling he would not agree to all of her design requests. Stayer said she and her family are grateful to Robert Indiana for considering their request and creating one more piece of his famous “word” sculptures. “We’ve had an amazing time collaborating with both these accomplished artists, and feel very fortunate we’ve had that rare opportunity. It’s a dream come true,” said Stayer. 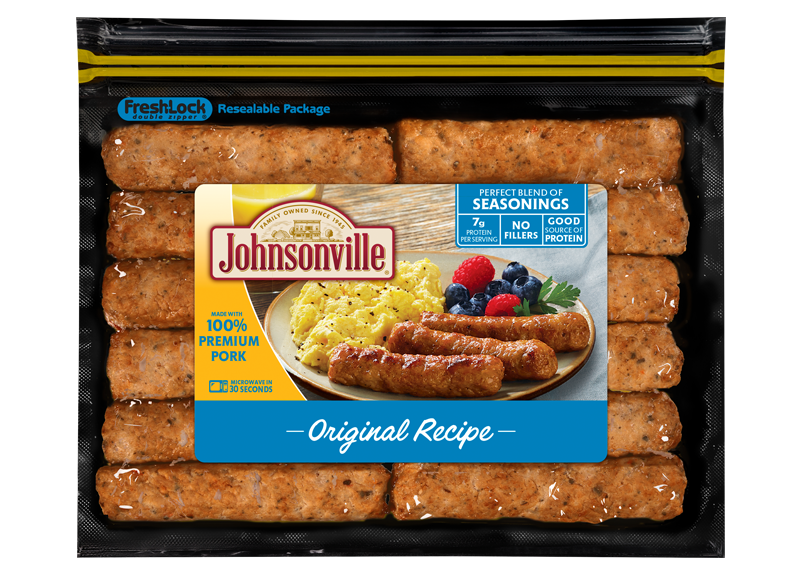 Johnsonville started as a small family-run butcher shop in 1945 and is now a global leader in the production of bratwurst and dozens of other sausage products. The privately held, family-owned company employs more than 1,800 members (employees). Johnsonville products are served in more than 40 countries and in more than 130 professional, college and semi-pro sports stadiums throughout the U.S. For additional information, visit www.johnsonville.com.